I'm contemplating buying a small chainsaw to add to the van. It's actually a multi-use idea for me. It will go with me on certain trips, not all. I need a smaller trim saw around here anyway. I have two heavy saws (Husky and Stihl, each with 18/20 bars) which will never go with me due to their size and weight. I'm considering this a Stihl MS192TC, a small arborist/in-tree saw that has a 12" bar and is only 8 pounds. Desert explorers might ask why, but here in the Eastern woods it is not uncommon to get stopped in your tracks by a tree down. Usually, it's a tree that has fallen across the road or trail and smaller vehicles can go under it (Jeeps, ATVs) but not an 8-9' Sportsmobile. The trees that fall all the way to the ground usually get moved pretty quickly. I've had higher hanging trees and limbs stop me several times. I'm curious what other people carry? I always keep a small camping hatchet in the van and recently added this handy saw/machete combo, but it's mostly for small things like stripping and gathering branches to start a fire. Another idea I've heard of is a battery powered Sawzall, which might be cheaper and easier to store than a small chainsaw, but I don't already have one and I need a small chainsaw anyway. 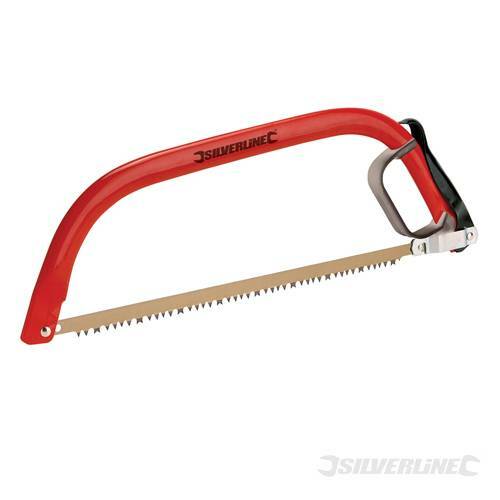 Has anyone had much luck cutting small to medium trees with a Sawzall? My experience with my old corded one is that it's pretty slow, but I've never bought a blade specifically for trees, if there is one. I'm planning to add some sort of sling for this saw to my spare tire rack or rear box. I do not plan on storing it inside the van. It might even go in the Trasharoo since it's only about 20" long with the bar and only 8 pounds. I live in the southwest, and am not that frequently in heavily forested areas, so I can't justify the need for a heavy-duty saw, let alone a chainsaw, but I do understand your need. Since I do sometimes travel to areas that have had trees across the trail that couldn't be dragged out of the way, I do carry a collapsible buck saw, along with a full size axe. Looks like the saw I have has been discontinued, but I think you can still find it if you look hard enough. It really is quite sturdy when assembled. A video review (not mine) of the 18" version. I'd go with a cheaper small chainsaw.. since you won't use it much. i carry a bow saw similar to this one on my camelbak pack i use for mt biking. its cheap, lightweight, and rips through all wood like butter, even when wet. im still on the original blade and ive had it for 10+ years. cutting anything bigger round than a foot takes a bit, but the saw works great for clearing trails out in the middle of nowhere. E350 aka "tree (or downed log) killer" who has used both Husky and Stihl (been a while on the Stihl used one for 8 hours a day during timberstand selection after college for a contractor for the USDA FS). I like Husqvarna but don't get one with Auto Tune or whatever they call it. And buy more engine cc's than you think you need. A large engine with a short bar and three to five extra chains which you can rotate through at the chain saw store for sharpening will serve you well. Alternative: Makita electric chainsaw. I plan on buying one for use within 100' of the house. If your van puts out 110v you could use it there too. Lighter, extremely powerful. No gas to carry. Again three to five extra chains. People hurt themselves and their saws by using dull chains. Same manufacturer as the buck saw I posted, but more importantly I found that the manufacturer is out of business so availability might be an issue. That's a bummer. I love mine - very lightweight and packs up very small which is nice for the van. The vast Stihl product line reminds me of KTM's........they are probably both secretly built in the same factory. Orange plastic in one end, chainsaws and motorcycles out the other. I've heard of some offroaders carrying them, but not sure if one would work much better than a hand saw. I need a tree saw (chainsaw) anyway. And yes, I know a little about chainsaws. I won't buy a cheap one. It will get a good bit of use at home anyway. I heat mostly with wood in the winter and cut/split about 3 cords a year, plus helping friends and family. I love Stihls, Husqvarnas are nice too, definitely the KTM's of the chainsaw world. I have considered a Redmax or Dolmar, but the model Redmax I want has been discontinued and Dolmar, a relatively new German brand (read well made but not very popular), doesn't make a small arborist saw. Anyway, still curious of others opinions and I appreciate the feedback. One of these will be going on my front bumper soon as well, but an axe is still not the preferred tool IMO to cut down a basketball diameter oak tree.